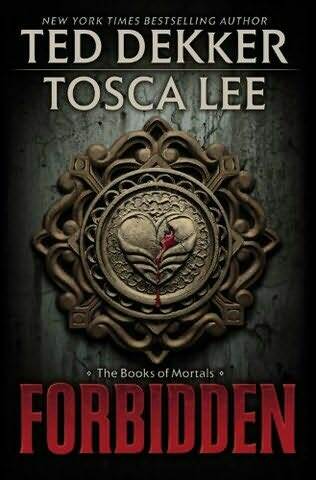 Congratulations to Cassie Christopher on winning the FORBIDDEN giveaway! Hope you like the novel! Here is her winning essay. Great work! To be mortal is to be beyond the realm of explanation. Mortal emotion is that of a human flesh and a divine heart. Lust and love, being one example, are similar but contrasting views on relationships. The flesh lusts for instant gratification, while the heart God has blessed us with attempts to love with compassion, patience, and trust. Too often the heart is overcome by the flesh. To be mortal is also to be passionate. Passion is what binds the heart and flesh together: the passion to learn, the passion to explore, the passion even to love. Passion spills over in some, is absent in others, and is harnessed by a powerful few who learn to use their binding to their advantage. To be mortal is, yet more, to be hurt. The flesh can be cut and, with antibiotic ointment and a Band-Aid, will heal. The heart, also, can be cut, as well as broken, bruised, and crumpled. There is no such thing as a Band-Aid for the heart. There is, however, a protection method. As a dancer, my feet were once very tender, but are now covered with hard calluses. The heart can easily build calluses to cover itself from any further attacks, but it becomes hard and ugly in the process. To be mortal is to love, to search, to be passionate, to explore and create, and to be hurt. In short, to be mortal is to live.